Okay, so now I've completed the, "Trinity of Fruit," who rule the entire Fruit Kingdom of the World. Although not exactly known as "The Jack of All Fruits of the World," I'm giving it such a title because to me, it makes perfect sense as there is a "King" (Durian) and "Queen" (Mangosteen) of all Fruitdom! I hope that you agree, as the root word is implicitly, "Jack." Be sure to check out my other two imperial fruits: The Durian: King of All Fruits and The Mangosteen: Queen of All Fruits. For the most part, westerners will find that the jackfruit is more agreeable to work with when the fruit is full-grown yet unripe and so has no real odor and is peeking in flavor. 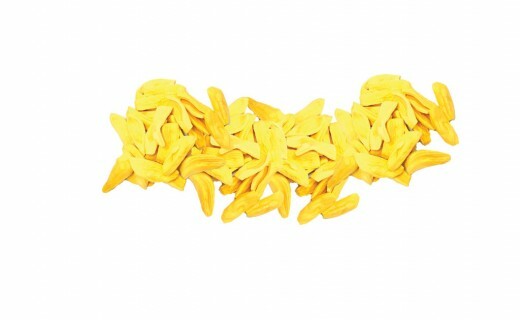 Jackfruit is very high in vitamin A, fiber and starch. 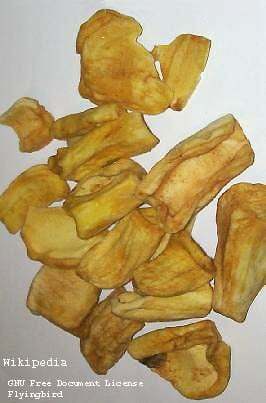 Most say that they prefer fried jackfruit over such fried favorites as breadfruit and plantains. Important to note is that when jackfruit is allowed to ripen, it would be wise to cut open and extract seeds from the jackfruit, as its odor rivals that of its “King,” the durian! In addition to being an edible fruit, you’ll find that it has many other uses. Please enjoy. Due to the fact that jackfruit is an excellent substitute for meat, its bulbs are sometimes referred to as "vegetable meat"
A single jackfruit can weigh up to 110 pounds! The bulbs (meat) of the jackfruit can be enjoyed raw or cooked (with coconut milk or otherwise); or made into ice cream, chutney, jam, jelly, paste or can be canned in syrup (my favorite) with sugar or honey and citric acid. 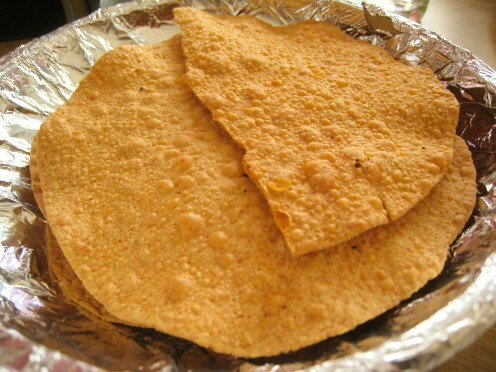 Papadums, which are made with jackfruit (similar to tortillas) are very popular in Goa and Mangalore India. Ripe bulbs can be dried and then fried in oil and salted and can be eaten like potato chips. 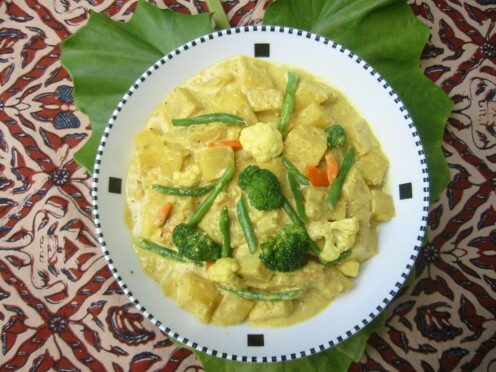 Tender jackfruit leaves and young male flower clusters may be cooked and served as vegetables. The wood from a Jackfruit tree or, Jackwood is termite-proof and so is an important source of timber in Ceylon. Jackwood is also resistant to fungal and bacterial decay. Its strength is 75 to 80% that of tea wood. Due to limited supplies of Jackwood, it was considered sacred and so was reserved for building temples in Indochina. 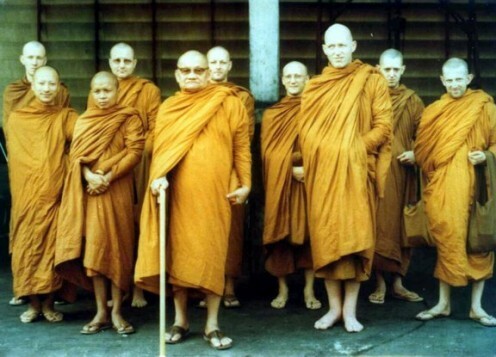 When the sawdust of Jackwood is boiled along with alum, a rich yellow dye is created, which is then commonly used for dyeing silk and the robes of Buddhist monks (See picture above). The roots of old Jackfruit trees are coveted for carving and picture framing. Jackfruit is also very popular in Brazil. 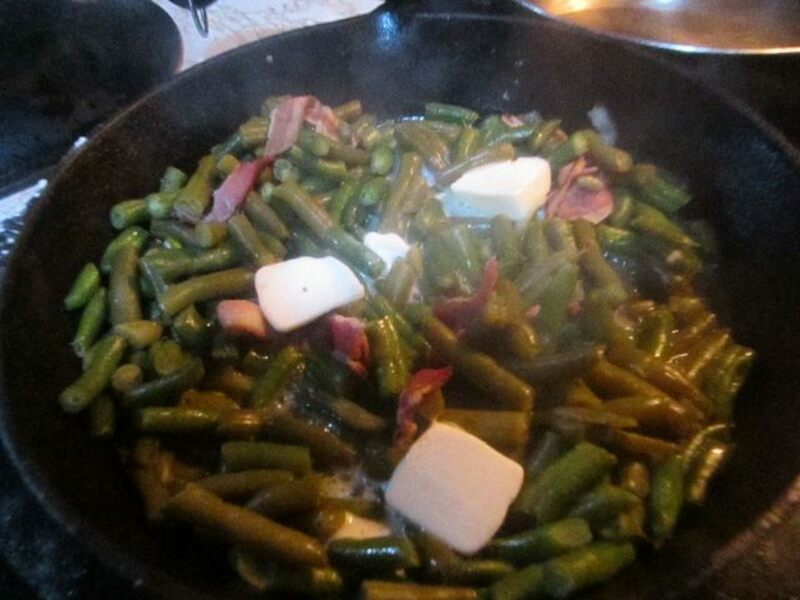 I grew up eating it and is one of the many foods I miss from there. Thanks, nadz. If you like, you can add this article as a link. In addition, I'll do the same. Just let me know. Thanks, hewhohn. It certainly is and has a myriad of uses. Good for health, Thanks for sharing. Thank you, Tafari. 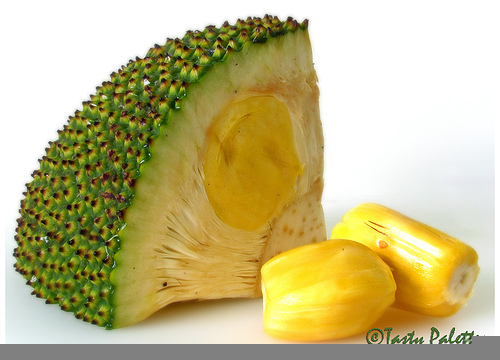 The Jackfruit is arguably the world's most versatile fruit! Ya mon di jackfruit numba one! Freestone mangoes would most certainly be a popular item. You would be one rich man if you could pull that one off. Shame about the the link--I'm guessing that the link was self-promotional, which is a no-no in Hub Land. Yes, Bangalore was fascinating. Some of India is very modern and at the cutting edge of the computer industry. Some of it is another world. I have a whole blog about my trip, but hubpages policy about connecting to other places is very confusing (and they are penalizing me for an innocent connection). One of the pictures I took was of two huge platters of fresh fruit and veggies I bought at the local stand. I mean huge platters. The whole thing cost about $2. We lived on about $10 per week for food. Yes, you could live on Google clicks! The two types of fruit are called cling (not usually cling-on) and freestone. You get the idea. Think of peaches. One of the great things about India is the mangos. Biologists have been able to grow freestone peaches. But they haven't mastered freestone mangos. Oh how I wish they could! Wow! I had no idea about cling-on (not Klingon, lol) peaches or freestone peaches! I'm going to have to use that tidbit while mingling at a dinner party! Thanks so much for commenting! I'm glad that you liked it. Great hub! One of your pictures was taken in Bangalore. I lived in Bangalore for a year. Street vendors sell jackfruit from their pushcarts. They're all over the place in season. Like most food in India, the price is ridiculously low by American standards. It's amazing that a seller can earn a day's wage by selling a jackfruit or two on the street. It's a different way of life. Hey, thanks, Benjimester! Yeah, I was surprised myself over how dynamic this little fruit/tree really is...Seriously, if you were indeed stranded on a desert island, the Jackfruit and Jackfruit tree would be like your best friend, as you could use it for a hundred different things. Yeah, jackfruit shakes are pretty darn good. Thanks again! I love Jackfruit!! I had them all the time in Southeast Asia. Jackfruit shakes, which you mentioned, are the best things ever. I didn't know that Jackfruit tree wood is termite proof. This is a very thorough hub. I'm impressed. That's great to know, wordsword! Thank you for making mention of that! Also, thank you for taking my advice reading this hub! I appreciate it. Yeah, I know. But that's what they're called, LOL. Thanks for reading this one! Hey, chenmikehk. Thank you for visiting. You have to admit that the Jackfruit has many uses, right? 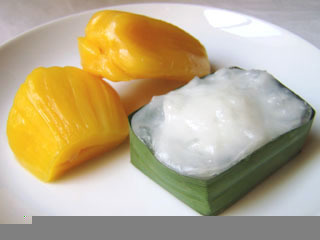 I actually prefer the jackfruit sweetened from a can, like cling-on peaches. Another informative hub. I like jackfruits but tarap taste a little better. However the jackfruits are sweeter and crunchier. Okay, I will take you up on it, but just give some time! I have yet to taste one but those are readily available, rather than the jackfruit, mangosteeen, and durian. I do like just about anything that's picked too. I'll be sure to give it a shot! Thanks. Hiya Dohn!I'm surprised that you dont know much about the Kumquat-it's right next to the jackfruit in the first photo of this hub.I'm quite certain that it also has it's roots in asia!Kumquats are quite delicious little devils:)a little sour but great! tastes great in a pickle.Look forward to seeing what you come up with! Right? I hadn't know any of these amazing facts until I began thoroughly researching it. I especially like how the older jackfruit wood becomes more valuable over time--so much that it becomes exclusive only to monks for use in their temples. I don't know of any other trees that exhibit such properties! Thanks Aqua! Wow - this is very interesting! Thanks for writing about the very versatile Jackfruit. It seems like a pretty valuable fruit since (among all it's other great qualities) not only can you eat it but it's termite proof too! What a combo! Thanks for the comment, stranded07! I'm glad you enjoyed it. That's great to hear, Tony. I hope you get the opportunity! Thanks again! Fasxcinating! Never seen one but I hope to! 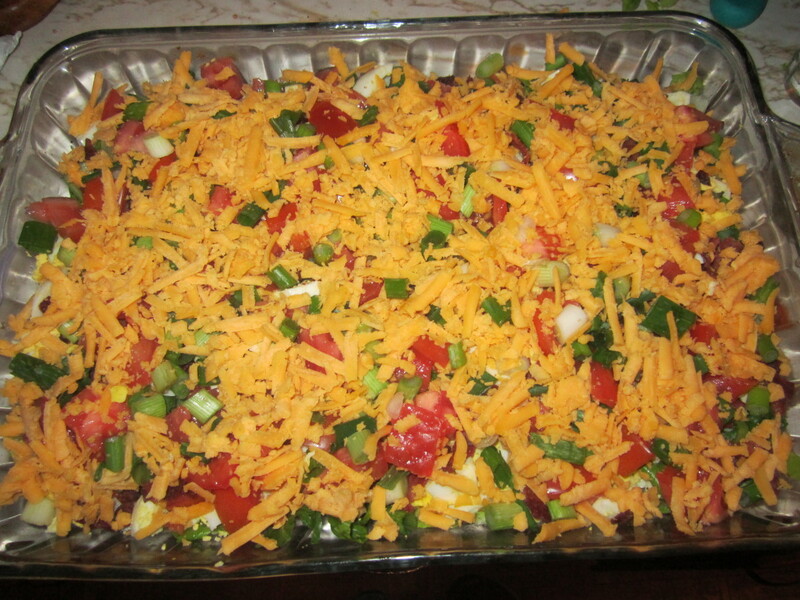 I love it dohn - it's great raw or ripe and can be cooked/eaten in so many ways! Love the pictures! I sometimes wonder what fruit people would choose to have if they were stranded on a desert island...Jackfruit should definitely be in the top five, simply because its versatility! Thanks! Fantastic info here Dohn, what extensive research you have done! I love this fruit, the flavour and aroma of a good one is just absolutely awesome, especially in the ice dessert! Yum! It's a pleasure! Hmmm...Jackfruit ice cream sounds like it would be a hit. One of my favorite ice cream flavors is peach as it has chunks of peach (from Baskin Robbins) in it, just like their strawberry ice cream. I suppose I could make my own using the same concept with can-sweetened jackfruit (which you should try!). I guess that anything is possible, right? That's a shame that you didn't enjoy the curry. I take it you just don't like the texture? I guess the jackfruit isn't for everyone. Bamboo might suit your tastes and textures more. I haven't thought about Kumquat yet and barely know anything about it, but it's definitely a consideration, as that's exactly what research is for! Thank you for dropping in, Archgirl! I appreciate it! Hiya! Dohn 121! thanks for stopping by my hubs and taking the time to leave feedback-I enjoyed your last hub on the Durian Fruit and the same goes for this one. Jack fruit is quite delicious when ripe---but I once tasted a jackfruit curry made from unripe jackfruit and I was not too impressed- the texture was quite fleshy and it's smell far too pungent to enjoy the dish.It's also interesting to see how many products are available-I don't see any Jackfruit ice cream though? Thank you Kephira for fanning me and reading up on the jackfruit. It certainly is a diverse fruit. About my profile pic, you're the first to comment on it after all this time I switched! Thanks for recognizing what it is! I was (and still am) a HUGE Transformers fan. Thank you for that! katyzzz-Great to hear! 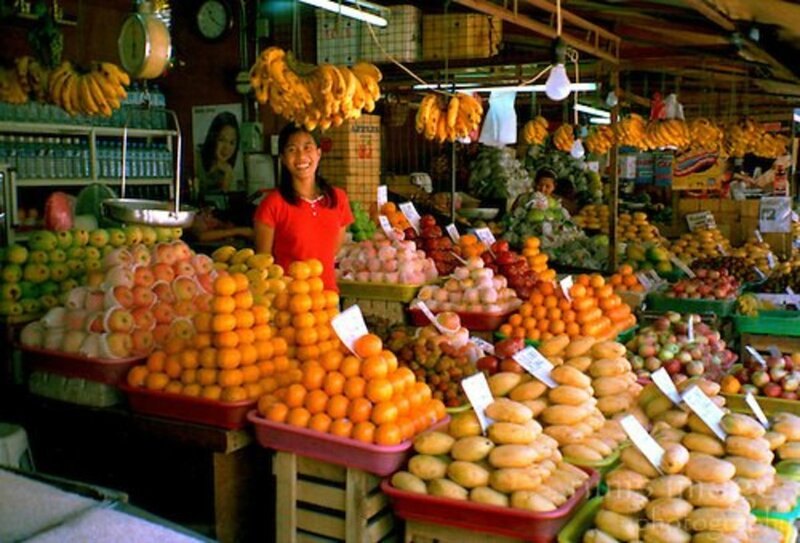 There are so many different kinds of fruits that many people across the world are still not akin to. Please do. Ulitmate Hubber-Very interesting to hear...One of my fans told me that he went to Lebanon in the early 1960's and tried an orange their and couldn't remember, for the life of him its name. Until this day, he can't find anything even remotely close to that orange elsewhere in the world. It's amazing how our memory improves over time for the things that brought us so much satisfaction! I hope you get your tree, UH. Make sure you let me know when you do! The only tree I was allowed to have would be an orange tree. Two reasons for this: First, it is 'not' the favorite fruit of mine but one of my favorites. Second, it will be a bit refreshing to have an orange there in the desert instead of mango, lychee or other fruits I love. I definitely recommend trying it Racheal! Thanks for visiting me. Thanks, Lgali! I appreciate your comments! Thank you. I was surprised myself when doing the research. There are no other fruits that I know of that are as useful as this. I'll be sure to visit you. Thank you, mattn78. 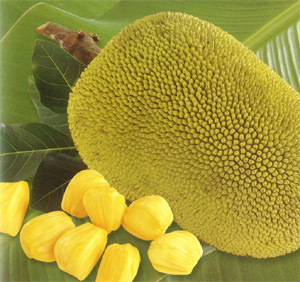 I hope you can utilize the jackfruit into your diet as it's very healthy for you. Wife Who Saves--That's wonderful news. 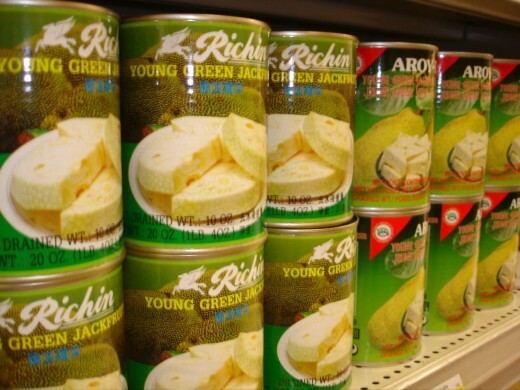 Both Asian and Indians stores will carry canned jackfruit of the ripened and sweetened variety. If and when you do try it, please let know! I'd like to hear what you think of it. myawn--Definitely give it a shot as it's extremely beneficial to you! Your avatar looks exactly like my sister's cat, BTW! Thank you for visiting me. I never heard of it before now didn't know it grows in Florida either. I would like to taste some. Thanks! 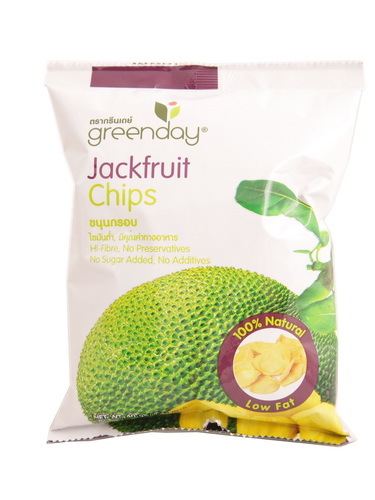 I've never heard of jackfruit. I'll be looking for an ethnic store that carries it. Thanks for an interesting hub. That's great to hear, Chris! My jackfruit supply is completely wiped out. Perhaps you have an Asian store close by that might sell it. Many Indian stores will have it in stock too. Thank you for visiting me! dohn, I haven't eaten jackfruit in many, many years. It grows in Jamaica too where I was born. Thanks for the memories. Gotta find me some jackfruit now. Thank you Patty. 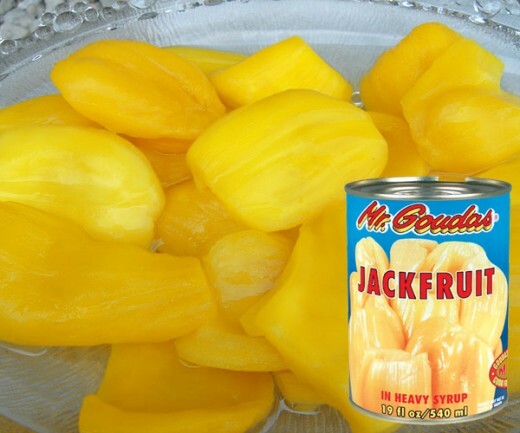 I must have said this a dozen times now, but I prefer the sweetened canned variety of jackfruit. 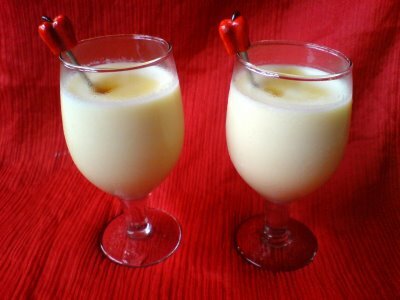 It so refreshing on a hot day when chilled from the fridge. The unripened canned variety is really amazing for so many meals. I hope you enjoy it! Thsi sounds very good as a substitute for meat. There are so many fruits in the Eastern Hempisphere that we are missing out on the the Western half. I'll look for some canned jackfruit. Thanks! Sadly enough, this may well be right on. I don't normally bash corporations, but Xango is the perfect example of this. The make it sound like their product will make you invincible as they make overly outlandish claims without any proof...They are in a lot of trouble with the FDA as we speak. 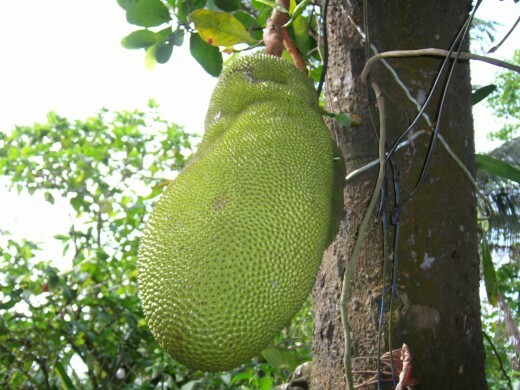 The jackfruit just may be widely available very soon, as whole plantations of them are being cultivated in many states in the U.S., namely Florida. I just hope the next wave of companies don't follow in Xango's footsteps. I have never heard of this fruit, but it sounds delicious. Of course it looks like it is well on the way to becoming the next big thing that people think will cure them of whatever. Thank you very much for you response. I glad you enjoyed it! 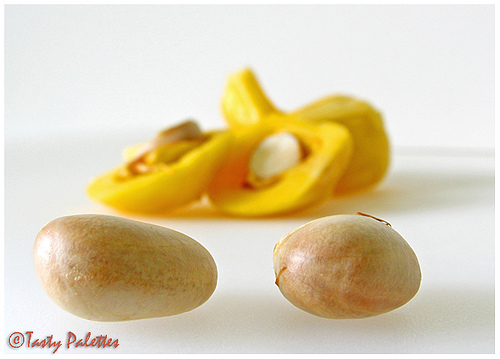 Informative Hub with nice photos..
Shamelabboush-I like to call the jackfruit the swiss army knife of all fruits! Thank you again for coming by! Ultimate Hubber-If you were stranded on a desert island and could only one tree to have what would it be? Good question, right? Thanks again for stopping by! So, this is the ultimate fruit! I have become a fan of this fruit after reading your hub. Oh wow! All that in a single fruit? Well, what do you know!!!! Great info dear. Ha! I really like your profile name! 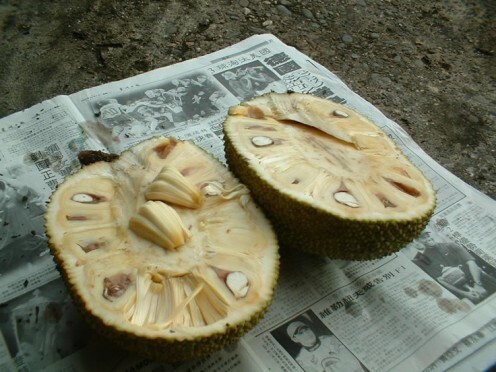 Just a tip--to be on the safe side, open the jackfruit up while your outdoors. 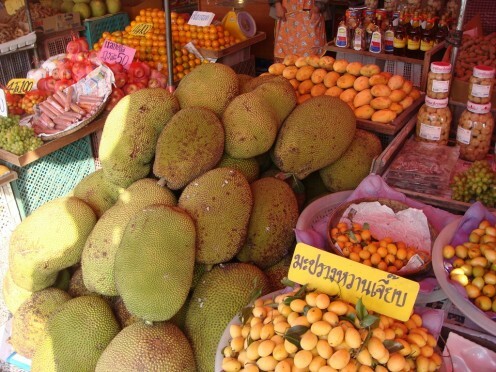 It launches an odor that might you may not be accustomed to, unless the jackfruit is really unripe. But the biggest problem you might have is deciding what to do with it once you open it, as you have so many different options! Thanks for reading! These are amazing. I live in Florida, and Jack Fruit trees are pretty common. 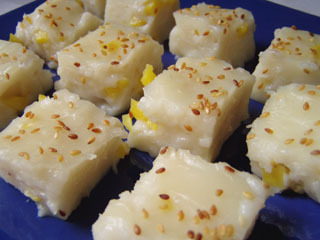 My instructor at school promises to bring some in for us soon...can't wait to give it a try! Great informative article by the way! That is so good to hear, Ernie. 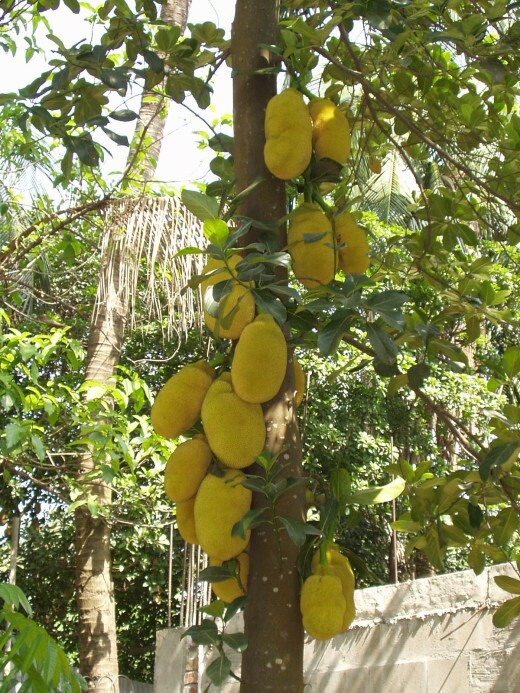 I wish I lived somewhere where I had a jackfruit tree too! You're so lucky to have one. As you already know, it has so many uses...I'm thinking about doing a hub on bamboo, but I might I need a bit of a break :P I'm all fruited out right now! Thanks for coming over! I love jackfruit. We used to have the tree in our backyard and the fruits it bore look like the ones in your picture. Unfortunately, the tree had to be cut down when it was already "old". We have another one growing right now but I heard it takes years before it can bear any fruit =(. Too bad. Anyway, thanks for featuring it here in your hub. Haha! Thanks, expectus. I have more exotic fruits to showcase, but for now, I'm gonna chill out a bit on them (maybe put them on ice as it were). I hope you get the opportunity to try them! I personally like eating avocado with a sprinkle of sugar. It's absolutely delicious that way! It's a shame that you can't get jackfruit where you are, Larry. It's great chilled and from the can. Cosette-I actually grew up trying all of these different kinds of fruits as a dessert or as part of a meal. Many times it was unbeknownst to me! My parents would just kind of slide the plate or bowl over and say, "Eat this, it's good for you" and I would oblige! Thanks! I have heard of the jackfruit, but I have never heard of the benefits. I am more of a veggie person. I don't eat a lot of fruit. I know I should, but I would prefer veggies for snacks. I will have to try a jackfruit. that papadum and those chips look good. i can't believe the cross-section - it almost looks like decorative art for a coffee table. amazing! You're welcome, sarovai. Thank you for coming by! Jack fruit, one of my favourite. Thank u for very nice hub about Jack fruit. Thank you, Silverlining. I'm glad I was able to share this with you. Maybe I can send you a can or two :D Anything for a fan! Love your hubs, keep them coming! It's interesting to note that the jackfruit really is the "Jack of All Trades," as it has an unlimited capacity to help us in so many ways. I've found healing properties of jackfruit as well but somehow forgot to add them in. I look forward to your comments, emohealer, as always. Thank you! Incredible! I have traveled but not to many of these places as I can now see jackfruit is a must have. 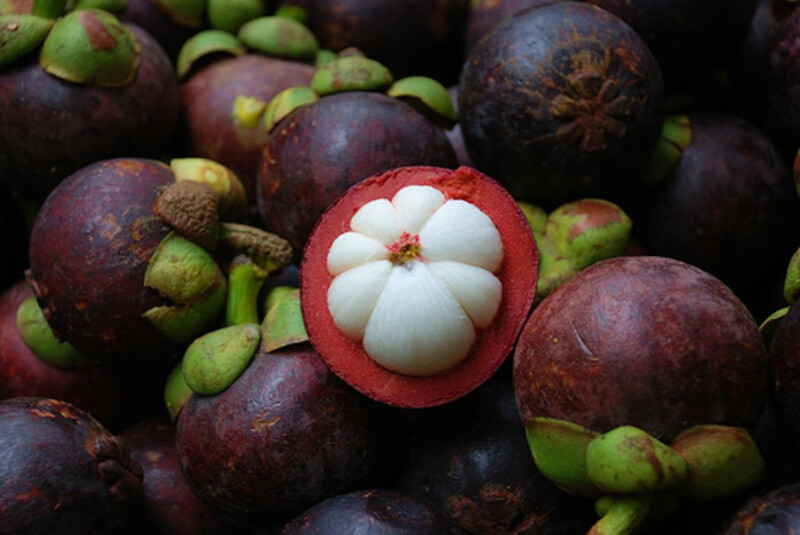 So many uses and so large, wow, you have really opened my eyes and world to an amazing fruit and tree, I am going now to read the sister hubs on The Durian and Mangosteen. Thank You! Ha! They remind of the movie "Cocoon" the way their shaped. I love them chilled from the can, personally. For some reason or another, I like cling-on (not Klingon) peaches that way too. Thanks, UW.